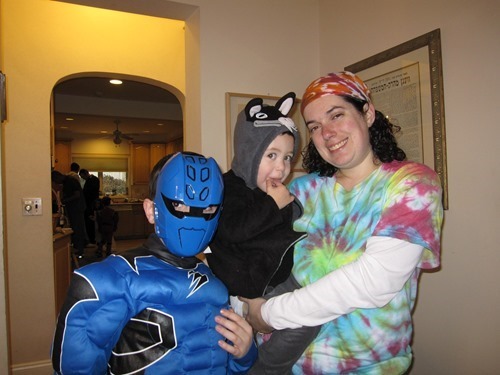 Two years ago I wrote a post called Why Everyone Should Celebrate Purim and I’m going to post it again right here! You know how everyone pretends they’re Irish on St. Patrick’s Day and it’s become practically an American holiday? And how about Cinco de Mayo? Mardi Gras? What do these holidays have in common? All are holidays originally celebrated by a certain religion or culture but now are used as excuses to get drunk. 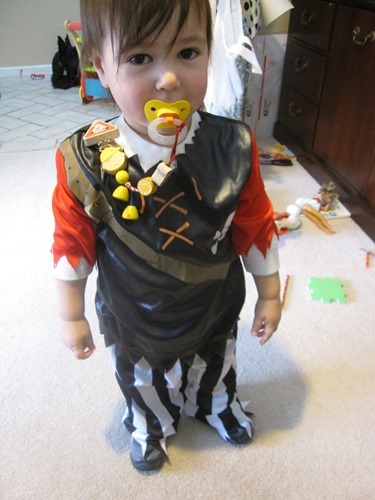 We dress up in costume. 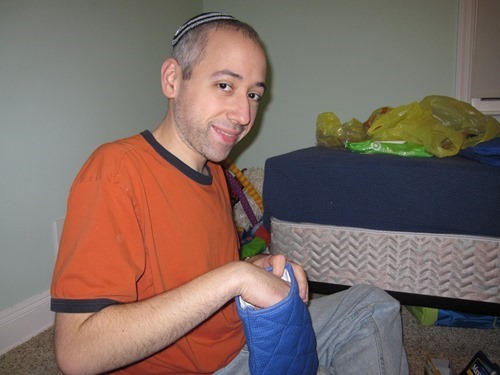 Sure, the reason for dressing up is to acknowledge the fact that God was disguised behind natural events in the Purim story, but dressing up is fun for everyone! We donate to the poor! We eat a huge meal! Just a Jewish holiday? Pshaw! 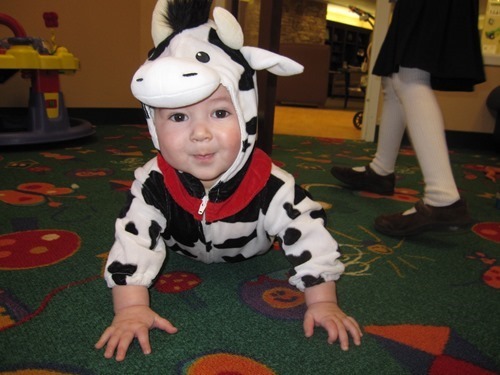 Everyone should celebrate Purim. 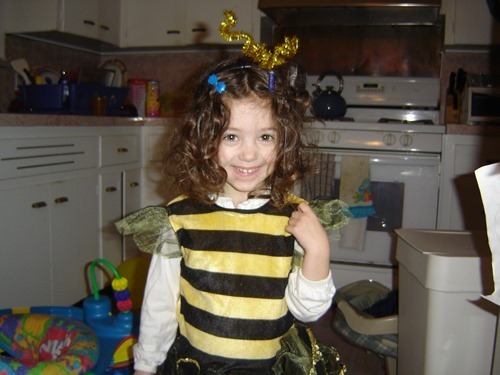 ** Purim commemorates the deliverance of the Jewish people in the ancient Persian Empire from destruction. This post was a bit of a spoof but I still think that if there’s any Jewish holiday people should want to celebrate it should be Purim. Read more about the holiday here. 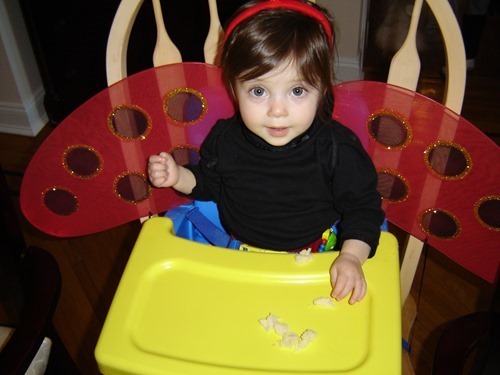 For today’s Flashback Feature, I’m sharing our Purim costumes and gifts we gave our friends (if I have pictures!) from the past few years. 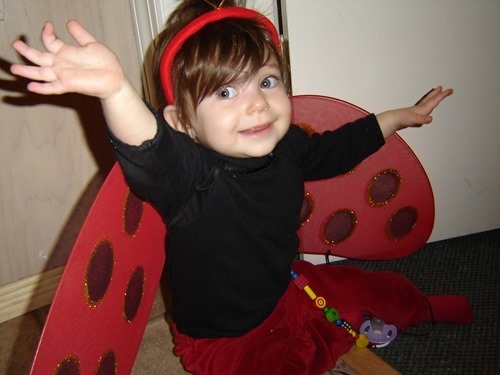 2006 – For Gabbie’s first Purim, when she was almost 1, she was a ladybug! 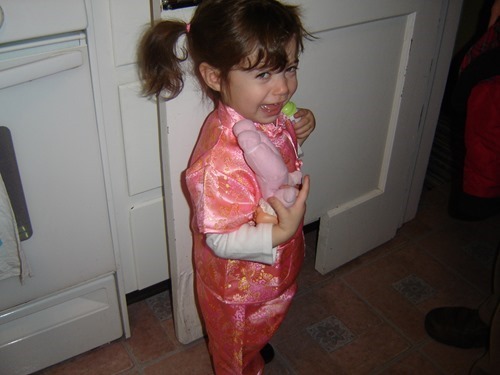 2007 – Gabbie was a Japanese girl. 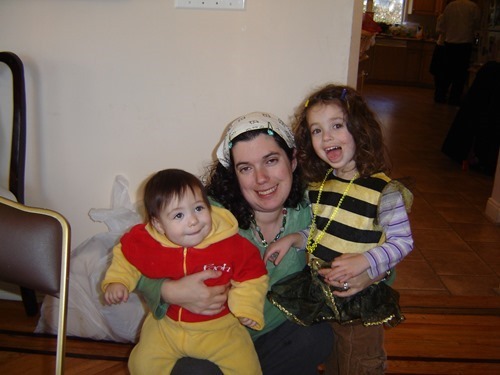 I was pregnant with Zachary and I got sick on Purim! With Daddy and her cousin “Barney”! 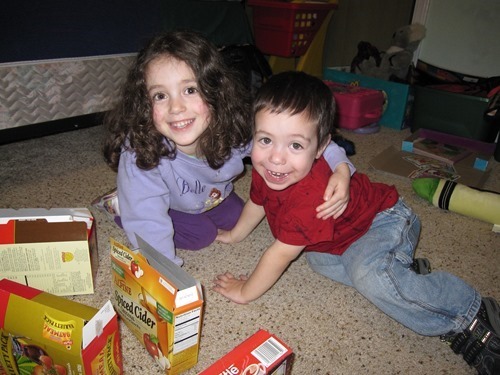 2008 – Gabbie was almost 3 and Zachary was not yet 1. 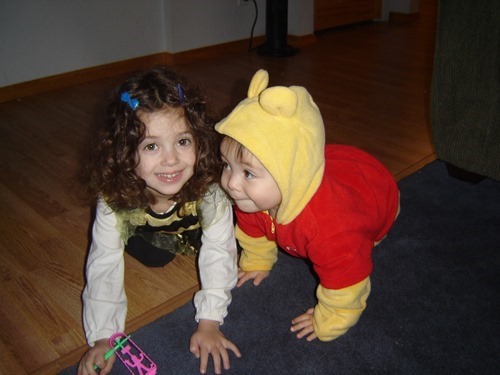 Gabbie was a bee and Zachary was Pooh. 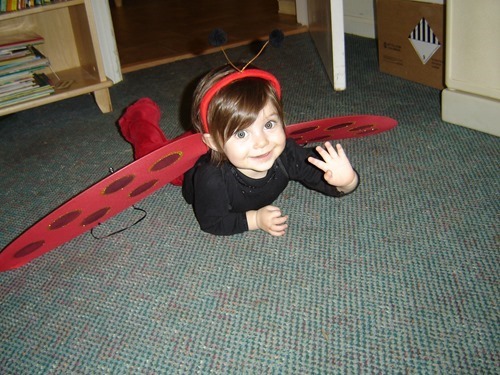 2009 – Gabbie was almost 4 and Zachary was 1 1/2. 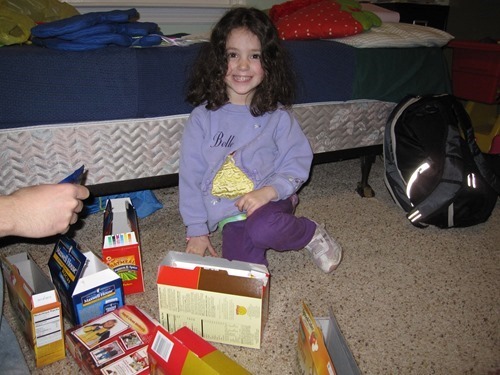 We filled potholders with foods that are made hot, like oatmeal, hot chocolate, tea, etc. 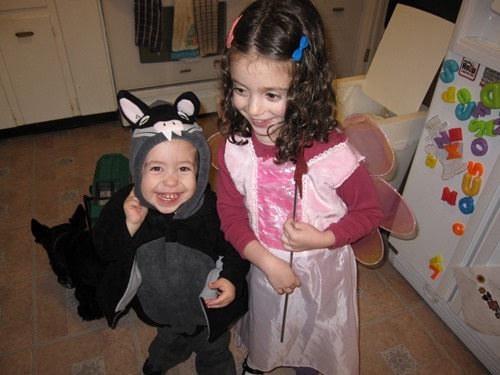 Gabbie was a fairy princess and Zachary was a bat. I was a hippie, and that’s my nephew the Power Ranger! 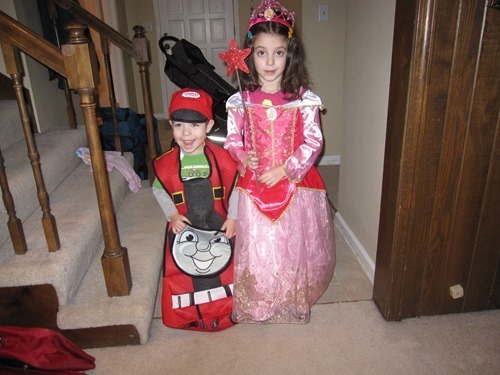 2010 – Gabbie was almost 5 and Zachary was 2 1/2. 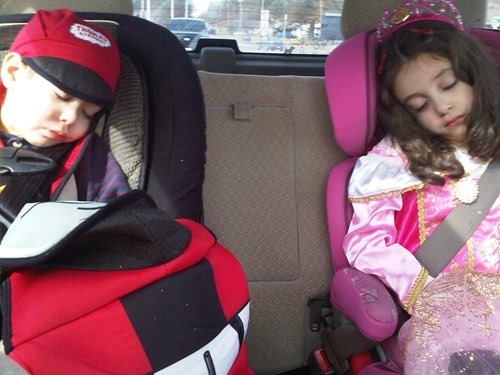 Gabbie was Sleeping Beauty and Zachary was James. 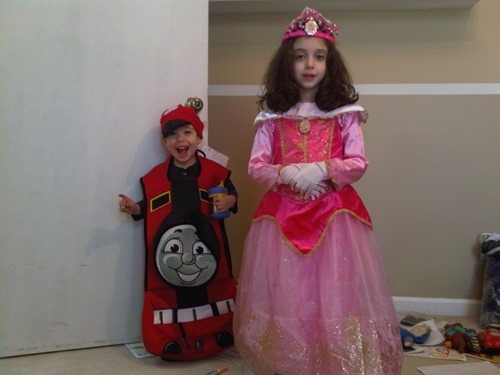 2011 – Gabbie was almost 6 and Zachary was 3 1/2. Simon was not yet 1. 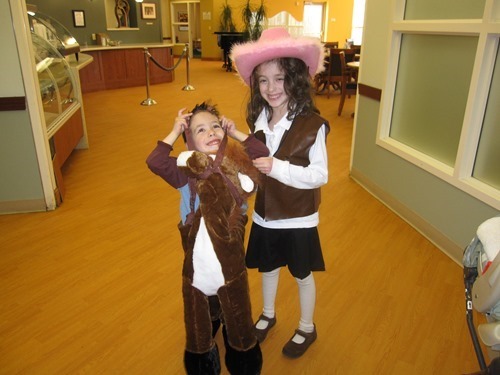 Gabbie was a cowgirl, Zachary was a horse, Simon was a cow, and Dave and I were cowboy and cowgirl! 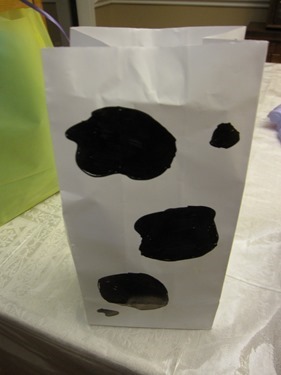 We gave out bags of milk themed foods like chocolate! 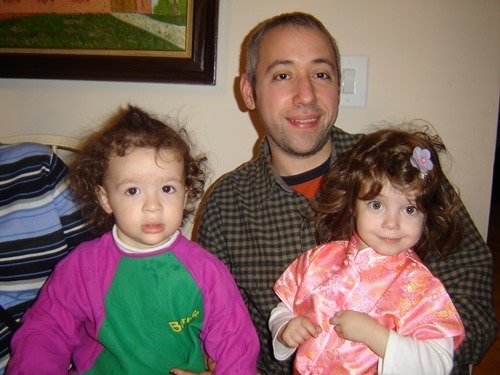 2012 – Gabbie was almost 7, Zachary was 4 1/2, Simon was 1 1/2. 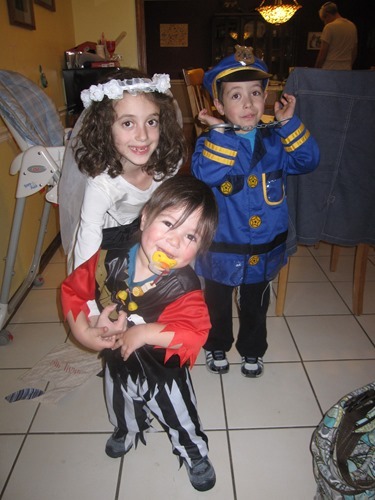 Gabbie was a bride, Zachary was a policeman, and Simon was a pirate. Dave and I were Ernie and Bert but I don’t think there were any pictures. 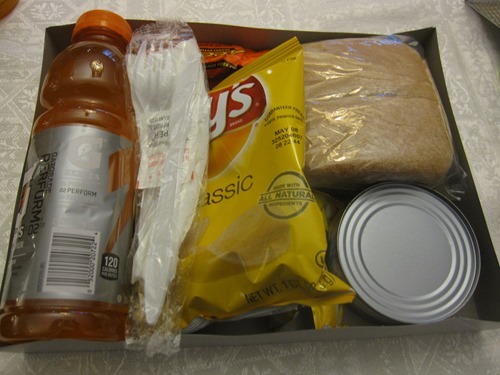 We gave out a box with bread, tuna, chips, a drink – basically a boxed lunch. People seemed to like the idea! 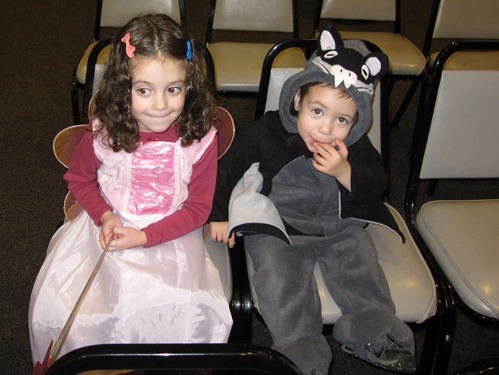 Does all this convince you that you want to celebrate Purim? I hope so! 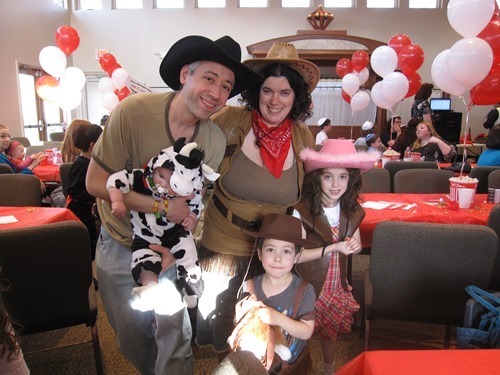 I’ll be back to share our costumes and our Purim gifts for this year most likely on Sunday, which is Purim! 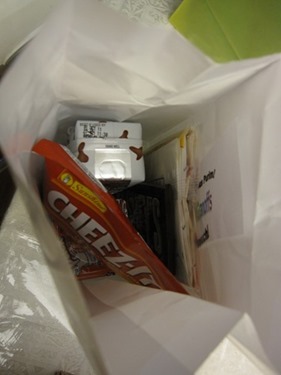 Next Post Tuesday Topics-3 Stores and a Giveaway!